Connecticut Branford Marco Pizzeria chrisntracy "The Best Pizza ever! Thin crust! Best Clam Pizza anywhere!" hooked. I've been going there since I was a kid." Oven RMS "If you love the world famous Pepe's in New Haven, you'll love Julian's. They taste very similar - hard to believe right ?. They use a wood burning brick oven, and have a dynamite thin crust. It's top notch across the board, cheese, sauce, and crust,......superb !!!" Normand "This is the only place that I know of in Bristol that offers a Neapolitan style pizza. They are very accommodating to your specific taste and will allow you tocreate your own style pizza. Not to mention their sauce is amazing!!!" gsemplice "Used to be a full service restaurant but now just does take-out. Wonderful sauce and plenty of great toppings. Mozzarella is never over done." Connecticut Bristol Pizza House Mark "The sauce is sweet not bitter. The crust is not too thick not too thin just right!...What makes this pizza unique is all the fixings are cooked under the cheese...the cheese is on top, this seals in a lot of the flavor you loose when fixings are on top of the cheese, Sicilian style"
there every week the overall the best oven pizza "
Connecticut Cheshire Ed Davitt's House Edward Davitt This is one of those pizza places where if you can find it, you can get pizza! Ed writes: "I make it myself. I make the dough with a little garlic powder, the sauce with a little Burgundy wine. Put on what you like, then I make it thin and cook it well done." anything outside of the big 3." Connecticut Cos Cob Pizza Post TeethFairy "Thin crispy crust, delicious sauce!!" Sally's, Pepe's, and Modern Pizza..."
"Incredible pizza, real down-home, excellent crust, wonderful place. A hidden gem in Pizzaland." Adam "Coal ovens--GREAT service--FABULOUS pizza!" Farrah "Everything ! But especially the crust. It's crispy and flavorful. "...the incredible crust to delicious sauce, it doesn't get any better. They also have amazing pasta's..."
70s and became a regional favorite... later, reestablished a more modest restaurant with the same great pizza in the former location of Venezia on First St. in East Norwalk ... with their broad menu and lusty Sicilian pies....Try the sausage and extra cheese Sicilian for big delicious chunks of zau-zeech, tasty sauce, and thick, bready crust. Weight: ~5 lbs!" Fairfield Luigi's Brian "This is a New York Pizza done to perfection. All the toppings are tasty and there isa wide variety. The kitchen is run by real Italians --from Italy-- and they know their business." Pizzeria R.A. Dray "Thin crust, rich sauce!" Favorite: "Chicken garlic with artichoke hearts!" "The crust is delicious and always made with fresh dough. There is always plenty of mozzarella cheese." "Great wood fired oven pizza in Groton. The crust is excellent with just the right amount of char. The pizza speaks for itself. There is also a portable pizza operation. 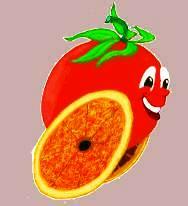 Rolling tomato has several trucks traveling in the area. The portable pizza operation is a hit!" 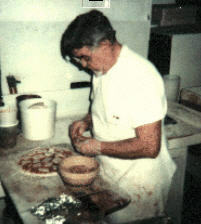 Tony C.'s Son "Heavy chewy crust, heavy cheese, New York like..."
From their website: "Upholding the tradition started in New Haven, CT in 1939 by our Grandfather John "Johnny The Baker" Cappiello. Serving Neapolitan pizza made with only the finest ingredients." Hamden Crust dasoa "This was the best "new" pizza I've had in years. Real baking, real pizza dude." The Pizza Promoter "Offering thin crust brick oven pizza and calzones along with a wide selection of "homemade" dinners and specialty dishes, stop by and eat like you used to in the "old neighborhood..."
Hamden Si Mangia Pizzeria jim "a gas fired brick oven, thin Neapolitan style,... fresh clams, a killer seafood pizza, white!... Wooster street quality, much better prices, less waiting." (Pizza Hall of Fame: New Owner/ Different Pizza) Dan C. "Genuine New Haven area Italian joint makes excellent pie. (Pizza Hall of Fame: CLOSED!) Leeroy "Excellent sauce, killer crust, and the oven. Sally's and Pepe's move over"
Madison Bradley and Wall Pizza Albert Grande, The Pizza Promoter, The Pizza Promoter, The Pizza Promoter "Two Italian brothers, Vito and Jon run the show turning out incredibly delicious pizzas! Their mother sits near the pizza oven, watching the brothers every move. She wants to make sure everything is "just right". It always is!" Madison The Red Tomato Pizzeria Tototwo "...The crust is thin and crisp, but still chewy. The sauce is simple- no grape jelly, no oregano, just Aunt Maries' sweet, fragrant marinara. The clams on the white clam pie are from local beds, and were shucked a few hours before being served on your pizza..."
"...if you love pizza, try the Little Rendezvous, its well worth the trip." black bottom love! If you're not going to Worcester Street, then this is worth it!" Papa's Pizza in Milford. " Pizza Grill Louie "Their Pizza is heavenly. Their wood fired crispy crust and pie creations is an incredible sensuous delight...best in the region." Mystic Mango's Wood-Fired Pizza Co. The Pizza Promoter "An incredible pizza, in Olde Mistick Village. Caters to locals and tourists alike. Master pizzaiolo Stefan Ambrosch creates outstanding pizza. This is artisan pizza with some unique tastes. A winner. (203) 776-4334 A. Grande "Creating a tradition on Wooster Street. Excellent pizza. Great Italian food"
New Haven Bar Pizza Tom "...The shape of the pizza strays from traditional pie whereas it's oval shaped. They also cut the pieces more geometrically square. There is one long cut down the center of the oval, then, perpendicular to that, they run along the rest of the pie to make rectangular pieces, with the middle of the oval having the longest slices. You can easily eat a large between 2 people because it's so thin. The sauce is fantastic and the oven compares to the one at Modern. The atmosphere is an old warehouse type setting with lots of Brick. Amongst the brick are metal beer vats situated throughout the dining room...."
Ernie's Katie " It is always excellent pizza and the lines tend to be less on the weekends, because it is less known." "A perfect balance of flavors, just the right balance of the right toppings. Proper disciplined methods, and quality of ingredients are all crucial. Intense heat is the ultimate deciding factor." toppings. They have wonderful specialty pies." Frank's Favorite Pizza: Mozzarella and pepperoni. Sometimes, clam. Tony "Total Zen. "/ "The pie is an equal to the best being offered." 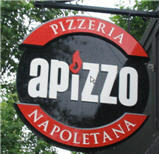 "...Your pizza will be like no other, served with the freshest ingredients from around the globe. Each pizza is made from scratch and it takes only 6-7 minutes to make..."
Irv Nielsen A..."sweet pie in Connecticut... their spinach and feta is to die for." The Pizza Promoter "Great pizza. Unique variety." North Branford Bobby's Apizza russell "Great handmade crust is thin and doughy, toppings are full of flavor..."
crust, and great family atmosphere. Can't wait til my next trip north!!!" left over. The best tasting thin crust pizza and fresh cut clams... Yumm"
white pizza, mozzarella, clam, fresh garlic, and broccoli with just a squeeze of lemon. Jerry Stanton "...I highly recommend trying Olde World Appiza...their brick oven is coal fired just like Pepe's and the pizza is outstanding - so good that I save the trips to Pepe's for special occassions, but eat at Olde World at least weekly." "...a fine pie. In particular the OldeWorld eggplant pie is superior. And, no doubt, you know it is not easy to find a good eggplant pie.."
Jake "Mousaka Pizza, House Sauce, Marinated Black olives, and Thick crust"
Old Saybrook Sal's ted "The sauce is incredible. They use a blend of cheese I've never tasted anywhere elseand it's awesome. Simply the best in my opinion." at Pizza Therapy on YouTube "...The pizzas were in a word, simply amazing. The crust, the crust, the crust! Slightly charred in spots, this added to the pizza experience. The fact the dough is given a 48 hour ferment, was clearly evident. Light, airy, tasty, with a full flavor... Stefan Ambrosch is one of the rising super stars of pizza. He is a young gun, and that's a fact. I predict that his pizza will just get better and better..."
Venice Pizzeria ms. mokarski "They have a Sicilian thick crust, crunchy outer crust, moist fluffy inner dough.."
"Colony Grill has thin crust; great sauce. Bar size pizza with anchovies - the best in the world!" (203) 375-2776 () ‎ David "Awesome white clam pizza." Check out the: Vazzy's Saltwater Special Pie, Main Lobster Calzone, and the Scallop & Bacon. (November 1999) They were here: Pepe's, Sally's, The Recovery Room, and the legendary, Luna Pizza! Torrington Roma's Pizza jim "... on High Street. They built an oven ... that is amazing. It burns ash and oak .... They're using Grande but I bring Scamorza with me every now and then and ask them to make a special pie." with a smile! I've had pizza from many, many places, and YOU CANNOT BEAT THIS PIZZA! Trumbull Giove's Pizza No Name "The pizza is just some really good pizza." "I have to advise you to try Camputaro's Pizza in Wallingford next time you are in the area. They haven't failed us yet...we grew up on New Haven, Pepe's and this is in my opinion as good as it gets!!! Please give it a try when you can ...it would be nice to see a good pizza place succeed!!!" "Pizza Groove setup includes our pizza wagon, prep tables, a serving table, lights and sound system. Once at your event, we position our pizza wagon to best fit serving and entertaining your guests. Pizza Groove LLC, located in Wallingford, Connecticut is a mobile wood fired pizza operation." "A little thicker but it just straight up works." Waterbury Rocky's rleavitt "...thin crust and the topping isn't nice and tight not soupy." (860) 274-1348 Chris "...my favorite pizza in CT next to Pepe's. The pizza is a thick, brick oven style pizza. My grandmother refers to it as "the way pizza used to be made". I like their pepperoni but that's my favorite topping as it is. They ship their pizzas out in the old fashion paper bags. No boxes here...Ro's has a rich history of being family owned and is a staple in the Watertown/Waterbury area when it comes to pizza.."
"The crust...and seasonal pie toppings!" "The pizza here is the real deal! The crust is incredible. They make their own home-made sausage. The pizza here is understated and that is what makes it incredible! Zupps stands up there with the absolute best Apizza in New Haven! I'm a believer! WOW!" "The tradition continues..." / "The sauce, crust and service are super!" "The crust is delicious ..."
Wilton Wilton Pizza tonematt "Thin crispy pizza and excellent sauce....this place is so original in that it's also a jazz club. It's the world's only jazzeria!" special reports available nowhere else! "The Pizza Therapy Pizza Book System"
Who Makes The Worlds Best Pizza in Connecticut? "That's easy, Pepe's. No Sally's Apizza in New Haven. Wait a minute what about Modern? Or the Recovery Room, in New London. Zuppardi's makes the best...or is it Pizza Rendezvous? Don't forget Bar Pizza. And Luna's in Hartford is absolutely the best...Hold on what about Ro's Pizza, they serve their pizza in a brown paper bag, What about the Colony Grill?...The debate rages on and on..."